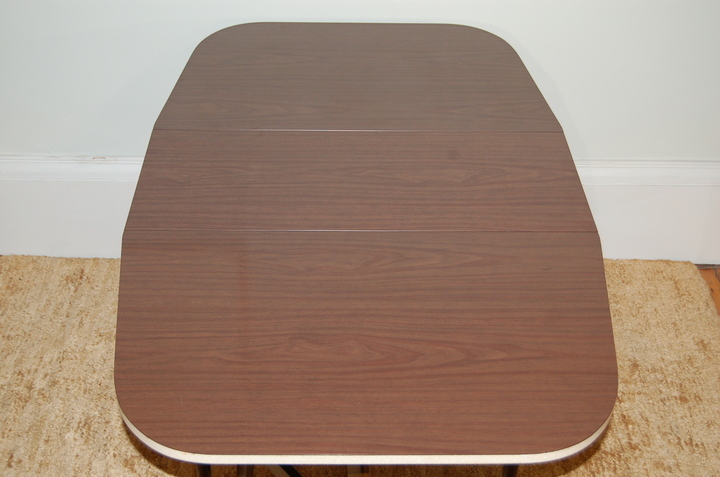 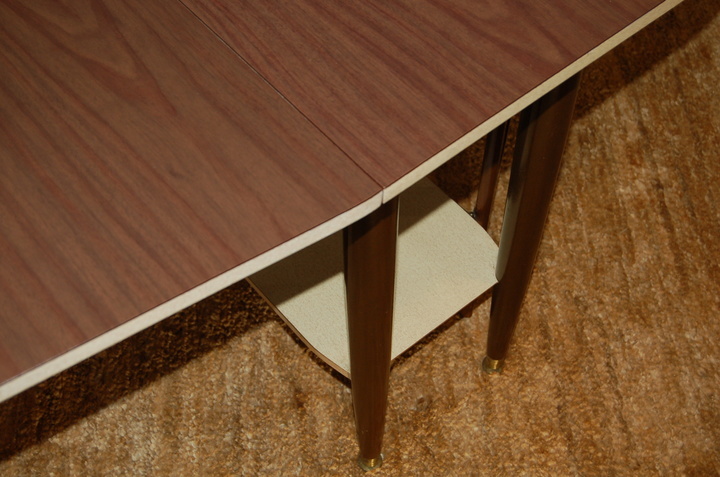 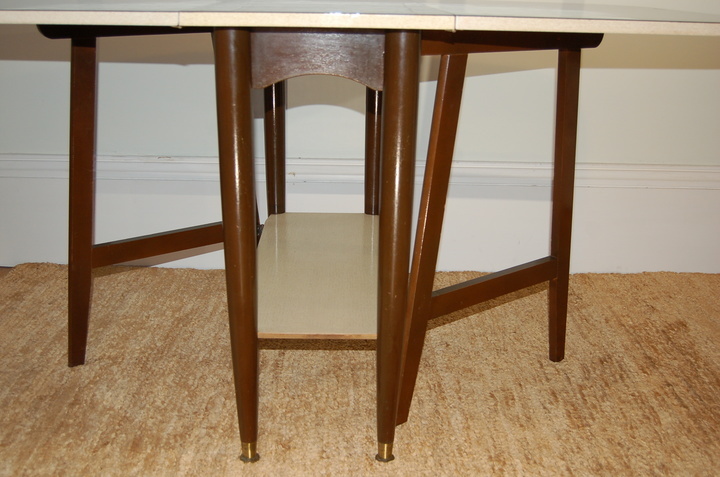 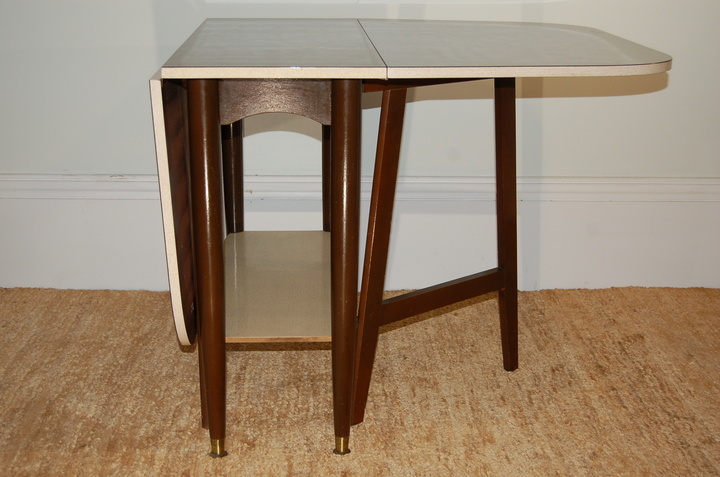 Very useful drop leaf table - unusual tapered formica dark wood effect top and low formica shelf. 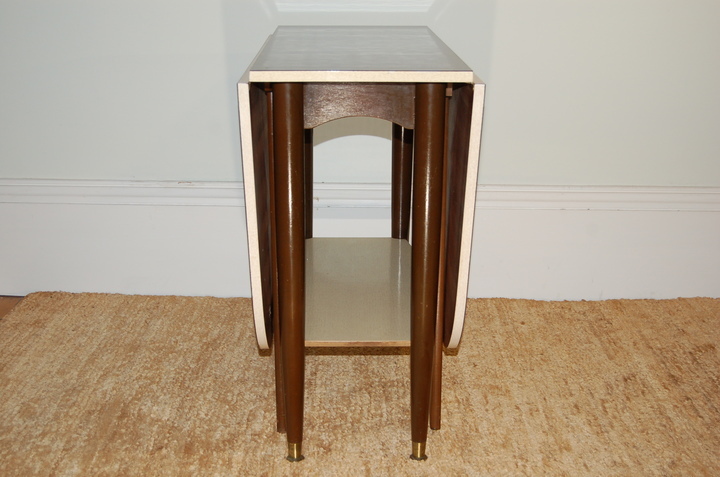 Wood legs with brass ferrules. 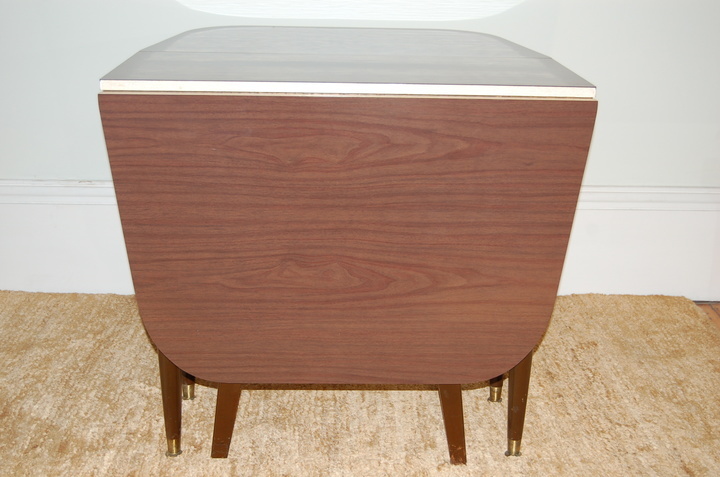 All excellent condition.